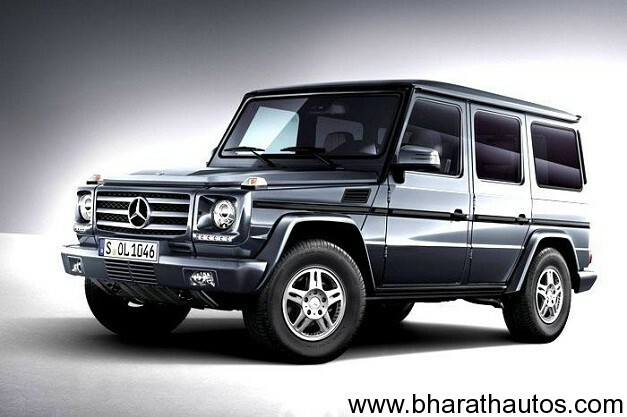 German luxury automaker, Mercedes Benz has revealed the first details and images of the new 2013 Mercedes-Benz G-class making its online debut today, prior to its public debut at the 2012 Beijing Motor Show later this month. The company has revealed an updated version of the G-class military grade off-roader that has just entered its 33rd year of production. So what’s new for 2013? When you first take a look at the new 2013 G-Class you realize nothing has really changed on the outside and that’s because that is the very reason the SUV is so popular. Mercedes-Benz follows the saying ‘if it ain’t broke don’t fix it’ with the new G-Class and we’re glad they did since the design of the model is a very iconic one. Changes you do notice right off the bat are the LED daytime running strips under the headlamps and the arrow indicator light design in the side-view mirrors. The AMG versions feature a new AMG radiator grille with double louvers, distinctive new bumpers with large air intakes and red brake calipers and 20-inch wheels. However, inside is a whole different story. The new 2013 Mercedes-Benz G-Class drops its old interior for a brand new upgraded interior with high-quality appointments finished with exquisite materials and a redesigned instrument cluster and center console. Standard features include the latest COMAND infotainment system with navigation and Internet access. Okay let’s get to the fun part. In Europe the 2013 Mercedes-Benz G-Class will be available in five versions including the G350 Bluetec, G500, G500 Cabriolet, G63 AMG and the G65 AMG. The 2013 Mercedes-Benz G350 Bluetec makes 207-hp from a 3.0-liter V6 diesel, while the G500 and G500 Cabriolet make 382-hp from a 5.5-liter V8. Both the G350 and the G500 models are mated to a 7G-TRONIC PLUS. Now let’s get to the AMGs. 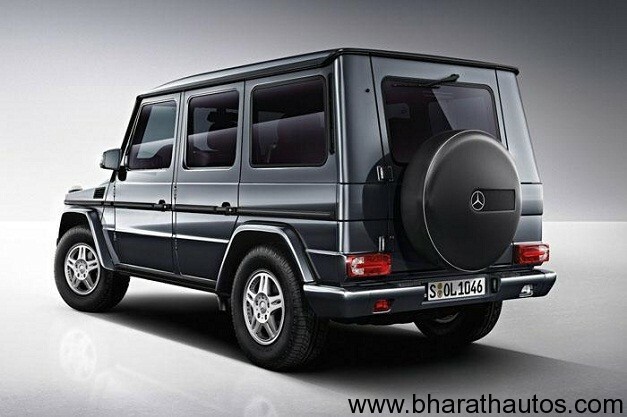 The 2013 Mercedes-Benz G63 AMG is powered by a 5.5-liter V8 biturbo making 563-hp with maximum torque of 560 lb-ft. The 2013 Mercedes-Benz G65 AMG is the big daddy and is powered by a twin-turbocharged 6.0-litre V12 engine making 612bhp with a peak torque of 737 lb-ft. 612bhp? We’re not sure why you would need that much in a G-Class – but hey – why not? The G-Class range is currently priced at Rs 60-80 lakh (ex-showroom) in India and the new version, which will come to India by the end of this year, is likely to sport a similar price tag.